The Gardena Police Department is responsible for enforcing parking regulations pursuant to the California Vehicle and Gardena Municipal Code. If you have a parking related problem in your neighborhood contact the Gardena Police Department at (310) 323-7911. If you have a questions regarding a parking citation contact (310) 217-6155 for additional information. By U.S. Mail – Use the envelope supplied with the citation. Apply postage and insert the payment in the amount(s) indicated on the citation by check or money order – no cash please. In accordance with Gardena Municipal Code 10.28.290, a parking permit is required in several areas of the City during specific days and times to limit vehicular congestion occasioned by persons attending events at facilities located in close proximity to these areas. The parking permit districts and effective hours of operation. If you recently moved to a neighborhood that requires a parking permit, the application form is provided below or you can visit the Gardena Police Department located at 1718 W 162nd Street, Gardena. 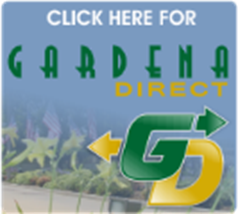 For additional information contact (310) 217-6155 or visit http://www.codepublishing.com/CA/Gardena/. GMC parking district descriptions, issuance, and hours are listed below. 10.28.290 Special district regulations – Parking restricted in defined districts.